Valentine’s Day is a week away! Now’s the perfect time to get any last minute treatments you may be thinking about. Whether it’s a treat-yourself splurge or just a way to prep for the special day, we’re here to help you pamper and prepare. If you’re looking for something quick, easy, and relatively painless to spruce up your look and leave you feeling better than ever, lip injections are a patient-favorite this time of year. 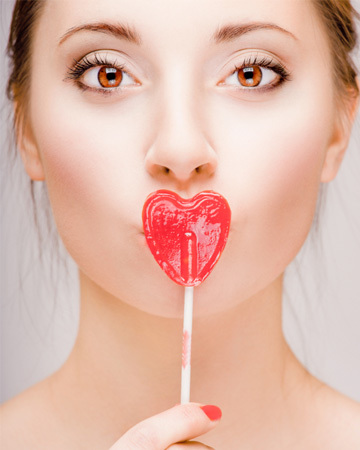 We can use our popular facial injectables to plump and fill your lips too! Commonly known injectables such as Juvederm™, Restylane® and Restylane® Silk, along with injections of natural fat, can be used to fill lip lines and give lips a fuller, rounder appearance. It’s the perfect procedure to perfect your pout. Juvederm™ is one of the most popular facial injectables available. Juvederm is infused with lidocaine, an anesthetic that provides greater comfort at the injection site for an easy and relaxed non-invasive plastic surgery experience. You can see amazing results like this with just 1cc of Juvederm! Other popular fillers include Restylane®, Restylane® Silk and natural fat. Restylane® and Restylane® Silk are clear gel formulas made with a sugar that is naturally present in your skin. The unique gel formula helps create softer, more precise results. Natural fat can be harvested from other areas on your body and prepared for lip injections as a part of your lip plumping procedure. Using natural fat injections can create very natural, smooth results. Call us this week to schedule your V-Day treatment! We can discuss the different options for lip fillers or offer answers to other treatment questions you may have. Call us today at (404) 257-9888.